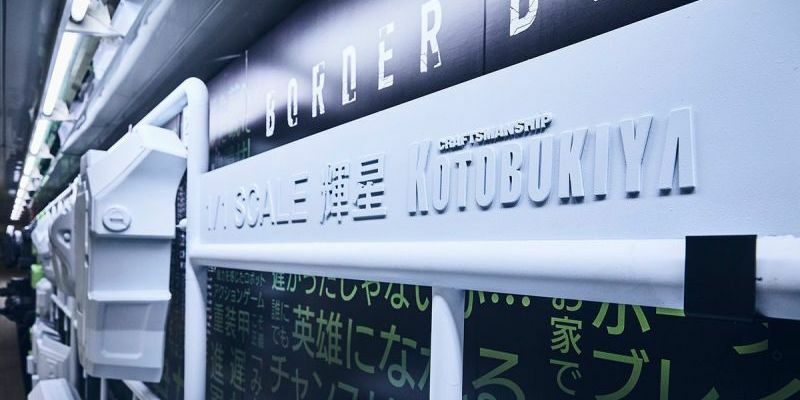 To promote their latest game, Border Break, Sega worked with model company Kotobukiya to make a 1/1 scale model of one of the game’s characters. Instead of presenting a constructed mecha, they’re displaying it on a giant sprue gunpla style. The full mecha was designed piece by piece in CAD. It’s made of Styrol resin, and was created using a mix of 3D printing and fabrication using a CNC machine. Kotobukiya is claiming it’s the largest plastic modle (or puramoderu) ever made. The choice to debut it like this instead of as a completed statue is really cool – it definitely grabs attention. 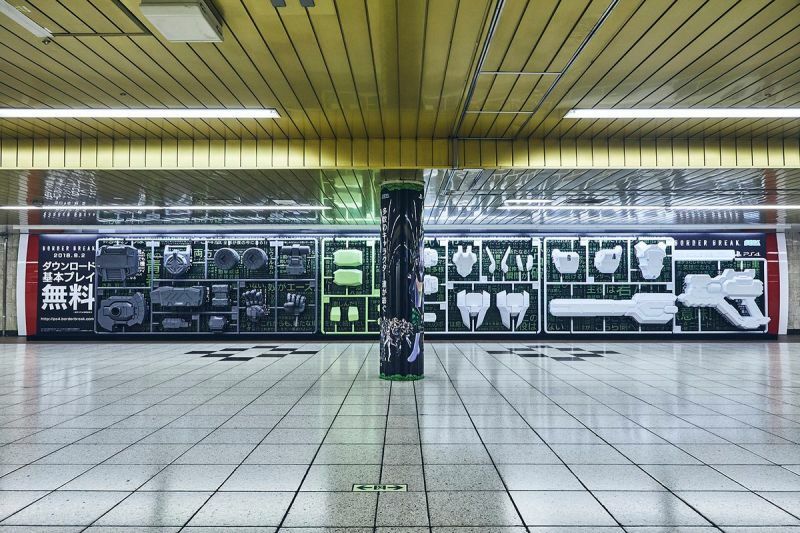 It’s currently on display at Shinjuku Station in Tokyo, but it won’t be on sprue forever. The company will be assembling the model over several weeks. I can’t wait to see how they handle the assembly. How will they going to clip out the pieces? Are they going to pull out a giant bottle of glue or is there going to be some heat welding involved? How close are they going to make putting together a 1/1 scale to putting together a 1/60th scale model?